Amazon's got the 1TB SanDisk Ultra 3D for $170 and the 1TB Samsung 860 for $199 today. Is it Thursday already? Then it must be time to tell you about one of our favorite solid state drives on sale for all-time low prices. 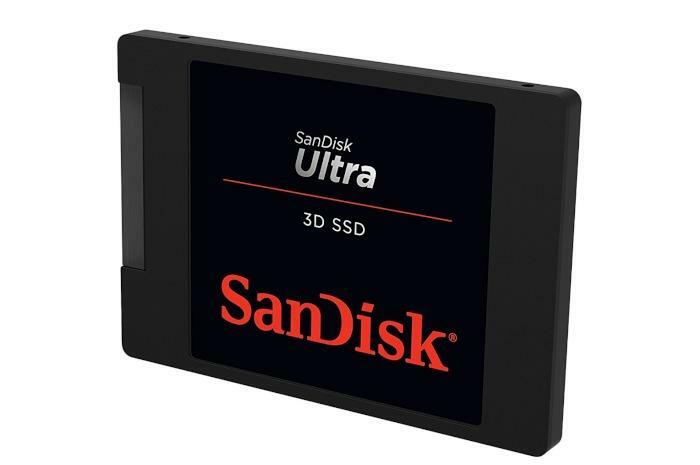 The 1TB SanDisk Ultra 3D is $170 at AmazonRemove non-product link. That’s only $15 off the most recent price, but it is the cheapest we’ve seen yet on the retailer’s site. Just a year ago, this drive was typically selling for $300—with a brief bump to an insane $400. While it wasn’t our absolute favorite, the Ultra 3D earned honorable mention as an alternative for the best SSD for most people in our round-up of the best SSDs for 2018. Our top choice is the Samsung 860 EVO, which also just so happens to be at an all-time low price of $199 today.Remove non-product link. What we really like about the Ultra 3D is the capacity and performance for the price. At the time of our review in fall 2017, we also found it offered some of the best write performance for TLC-based SSDs that we'd seen; however, we did find it could be a bit slow reading smaller files and folders. It also comes with a warranty covering the drive for three years or 400 terabytes worth of writes, whichever comes first. Meanwhile, the Samsung 860 EVO offers the best combination of price, performance, and capacity in a 2.5-inch SSD. Plus it's backed by a five-year warranty and Samsung's excellent Magician SSD management utility. And with a 1TB capacity, these drives have plenty of room for most laptops, whether you like to work, play, or a little of both.